I am a girl who likes to eat - not like Andrew Denton, just for fuel, but because I really, really enjoy it. I love trying new things, and discovering heretofore unknown delicacies. 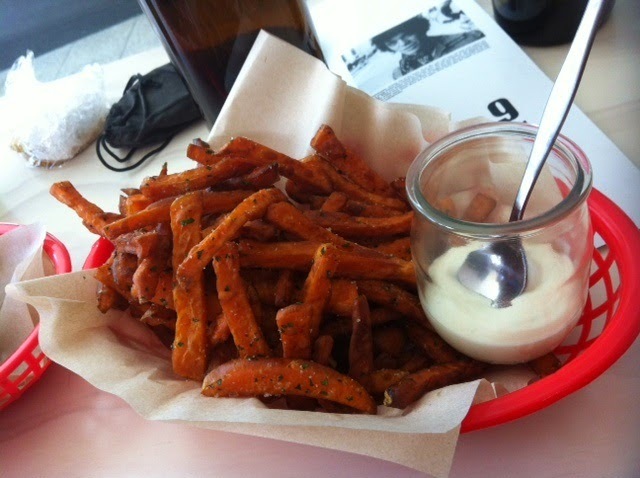 I used to be just a sweets kind of girl, but now I like my savoury dishes just as much. When one loves their food, portion control and balancing fat/sugar/calories are important. It is something that I don't always do well. Fresh out of university, I share-flatted with a girl who made dinner every night because she got home much earlier than me. It was brilliant to come home and find dinner on the table. However, as we were both learning about cooking, the serving sizes were enormous, and gradually, my weight crept up. I became even plumper when I worked for a posh firm that entertained clients with three course lunches on a regular basis. I revelled in the new found delights of eating out at fancy restaurants (for free! ), and eagerly always went for all three courses when they were offered. The real blow-out point for me came when I went on secondment to a large city interstate, and had a glorious time trying out all the new foods that were on offer in the much more multi-cultural environment. These factors, combined with my love for lollies and chocolates, resulted in my weight soaring to new heights. The great thing for me was, at that time, I didn't really care - I felt well and happy, and being a heavier girl did not bother me. Cue unrelated lower back pain after wrenching my back, and my then GP said "it would help if you lost 20kg". I asked him how to do that, and his reply was that if he knew, he'd be a wealthy man. Thanks, what a helpful response! The possibility of easing my back pain meant that I was prepared to try anything, so my weight loss journey began. Weight Watchers only got me so far before I plateaued and never lost any more weight; I also hated the faux religious experience of the group sessions. After giving up on the weight loss project for a while, I went to see a dietitian, who helped me to lose that 20kg, and I kept it off for around 8 years. 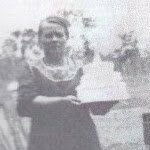 Then the weight crept on again - not to the levels that I had previously reached, but I was certainly heavier than was good for my health. This time, dietitians were not the answer - I saw two of them, and unfortunately, the "mindful eating" mantra doesn't really help me. So, my most recent weight loss was facilitated by a naturopath, who gave me some handy tips on what to eat to feel fuller and what kind of snacks to eat. As you can see from my blog, I am not following the strict naturopath prescribed diet anymore, but I hope that by balancing this with that, I can keep the weight off. This is a long-winded way to get to today's dish. I like a good curry, but unfortunately, many Indian restaurant curries are full of cream and oil and other things that are not very waistline-friendly. Like everything else, it is OK to splurge on them once in a while, but they are not suitable for eating every night. I recently acquired Make It Lighter by Angela Nilsen, which contains recipes for food favourites that are lower in fat/calories/sugar etc than the standard version. Angela's book features a recipe for Chicken Korma, so curry-loving me jumped at the chance to make it. However, I substituted the chicken for beef. Angela swaps cream for yoghurt and limits the oils in the cooking process, resulting in a dish that is lower in fat and calories than a traditional korma. Best of all, it is delish - rich and fragrant and satisfying. The only thing I'd do differently next time is not put the whole cardamom pods in, as I found it hard to find them to fish them out at the end, and there is nothing quite like biting down on a cardamom pod - blek! The recipe has been published in The Washington Post, so if you would like to try this korma (whether with chicken or beef or whatever else you fancy! ), you can find it online here. 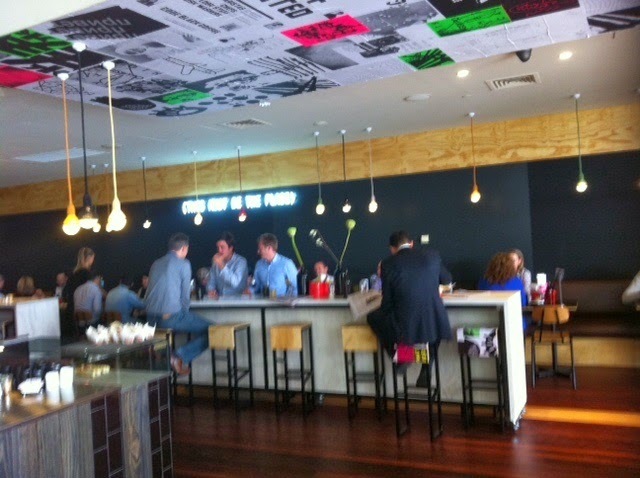 Last weekend, Tim and I visited Radio Mexico, a Mexican restaurant in St Kilda, for lunch. It came highly recommended by my friend E, and a couple of work colleagues had also been there and had rave reviews. Radio Mexico is all about sharing food. Their menu sounds delicious from top to bottom, so the hardest part was deciding what to have. All tacos are $6.50. The pork was the spiciest of all, verging on hot, but as I like that kind of thing, I enjoyed it. It was hard to pick a favourite, as all of the tacos were good, but I think I liked the pumpkin one the best. I cannot do justice to describing how delicious these ribs were - the meat just melted off the bone, making them easy to share and easy to eat. They had a sweet and spicy stickiness that had me wanting to lick my fingers. I did not resent a single calorie in this tart, which was perfectly complemented by a dollop of cream. Devine! We washed it all down with two bottles of Bohemia beer ($8) each. The staff were friendly and the service was very efficient, so all in all, this was a terrific dining experience - definitely worth a repeat. The chocolate macarons are sandwiched with a fruity spicy ganache that really does taste like a hot crossed bun! A treat not to be by-passed. I adore cheesecake, but I know that it is one of the most calorie-laden treats around. Accordingly, I indulge infrequently and sparingly. However, I was very excited when I saw a recipe in the March-April 2014 edition of Nourish magazine for Greek Yoghurt Cheesecake with Ouzo-Poached Figs (erm, which I also found had been published nearly 6 years ago in the US Eating Well magazine - the recipe is online here). 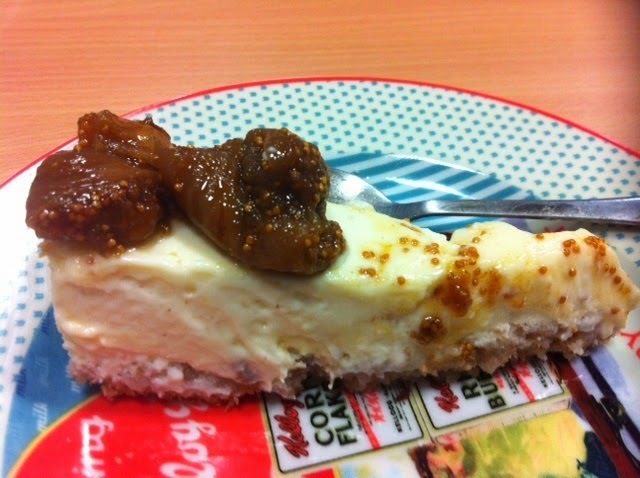 This cheesecake substituted the rich buttery biscuit base for a base made from crushed toasted breadcrumbs and walnuts bound together with coconut oil, used low fat cream cheese, and exchanged the cream normally found in cheesecakes for Greek yoghurt. Superb! The cheesecake is super smooth and creamy, and you would never know that it is a little more virtuous than the traditional, full fat version. You could make this cheesecake and dress it up with whatever flavours you fancy. However, I did make the poached figs they suggested (thanks to Ivy who gave me two mini bottles of ouzo years ago). And I have to say, the figs are good!! I would never drink ouzo by itself (a little too burning on the throat for me), but in the poaching syrup, it is devine. I had leftover figs and am using them on icecream and on oatmeal - delish!! 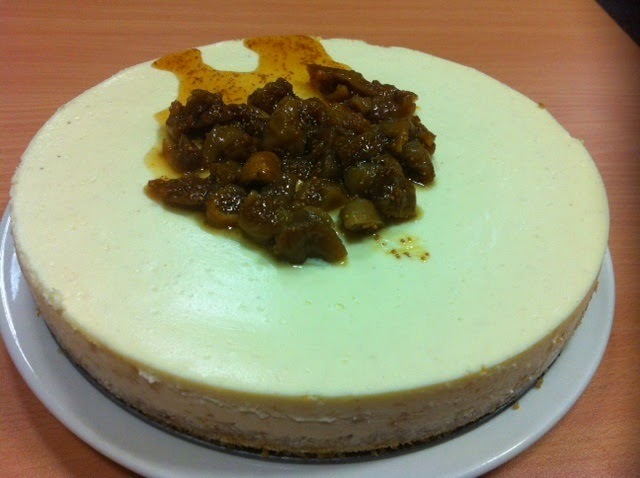 If you love your cheesecake like me, but are open to new recipes or would like a lower fat version, then do try this cheesecake recipe - it is really good. For French Friday with Dorie this week, we combine a little bit of rustic country charm with a little bit of spice to make a dish that Dorie confesses is neither Indian nor French. That's right, we made Vegetable Barley Soup with the Taste of Little India. You can find the recipe online here. I was pleased about making this soup, not because I love soup, but because I had all of the ingredients already. Parsnips and pearl barley are things that I don't use often, but I had parsnips left over from the Carrot and Parsnip Fritters, and pearl barley from the last time that we used it for FFWD. Fabulous! I liked this soup - the spice gave it a bit of kick to make it interesting, and the pearl barley made it filling. It would be great in the depths of winter when it is so cold and grey and miserable that you think you may never smile again. To see what the other Doristas thought of this soup recipe, visit the LYL section of the FFWD website. 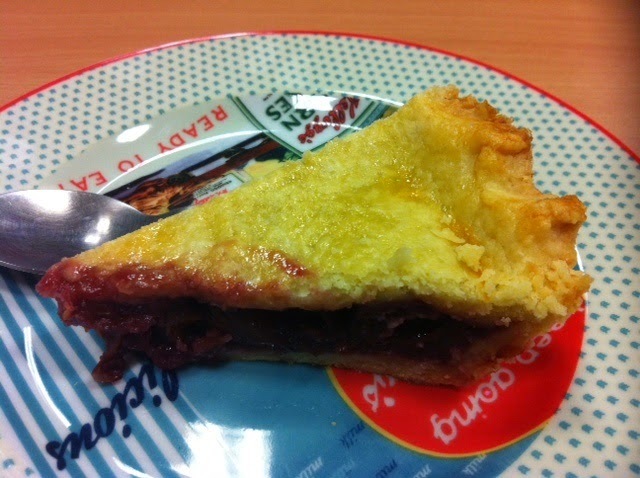 Who doesn't go weak at the knees at the mention of cherry pie? If there are strong backboned individuals who don't, I am in awe, because I just adore cherry pie, and the thought of it has me swooning. A few weeks back, when I went shopping with my friend E, I picked up a cheap jar of morello cherries in Aldi, which was immediately earmarked for cherry pie - when I got around to it. I was also inspired by this recipe for Truly Madly Deeply Cherry Pie on Whole Food Cooking. Of course, I took the idea and made it my own. 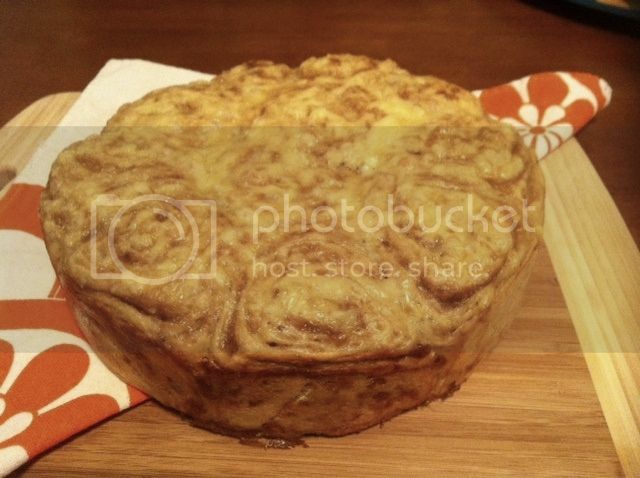 I made a pie shell and lid using Dorie Greenspan's Good for Almost Everything Pie Dough. I mean, it's good for almost everything, so it's gonna be perfect for cherry pie. I made only one half of the Truly Madly Deeply Cherry Pie filling, as I only had one jar of cherries. As it happens, that was plenty to fill the 9" pie shell. In the fridge overnight, the filling solidified a little more so that it was transportable to work. What can I say - I loved this! Would I make it again - yes sirree I would. Think buttery pie crust encasing soft, juicy, sweet cherries - you get the picture. 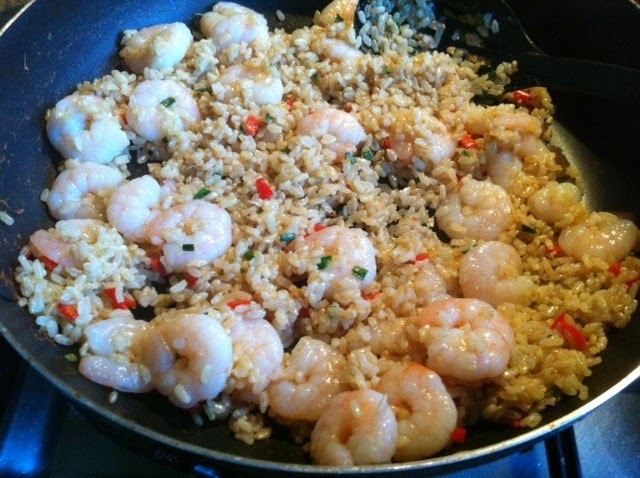 This week's Wednesday with Donna Hay pick is Fried Rice from Modern Classics I, chosen by Margaret. You can also find the recipe online here. My experience with Fried Rice in the past has been from dubious Chinese takeaways, and it hasn't really impressed me. However, this is not your average Fried Rice - it is somehow lighter and more flavoursome than the Chinese takeaway equivalent. I think it was even better on day two. I have never made Fried Rice before, but was surprised at how easy it was. This one is definitely a keeper. To see what Margaret and Sarah thought of this week's picks, visit their websites. A favourite watering hole for Tim and I was Zuffas, which used to be located on the upper floor of the ANZ Royal Bank building in Collins St, Melbourne. The drinks were cheap and on a Friday evening, the place was usually not crowded. It was also the scene of my only non-work foray into karaoke, where I learned that my singing voice gets the serious shakes in public and doesn't benefit from the amplification of a microphone. Sadly, Zuffas closed, and the space was vacant for a while. 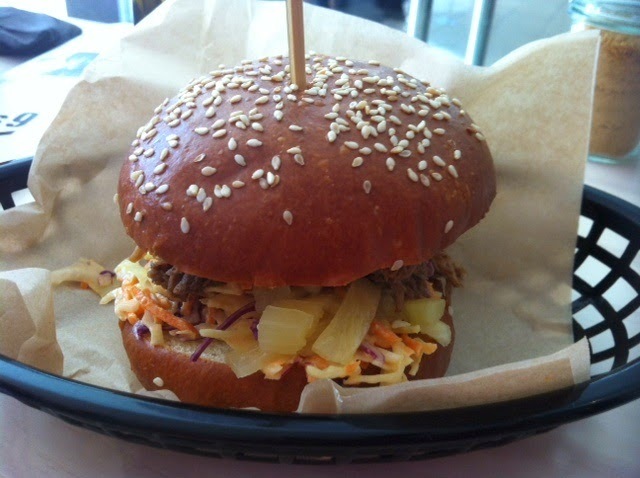 However, a new tenant has now taken up the space, a burger restaurant called simply "1969". You can guess from this that the theme of this burger restaurant is the year 1969. Music from that year plays on the stereo, and the food is named after memorable bands, songs, movies and TV shows from that year. You'll find The Brady Bunch (sides), Honky Tonk Woman (a burger) and Yoko and John (a vegetarian burger) on the menu, along with a galaxy of others. 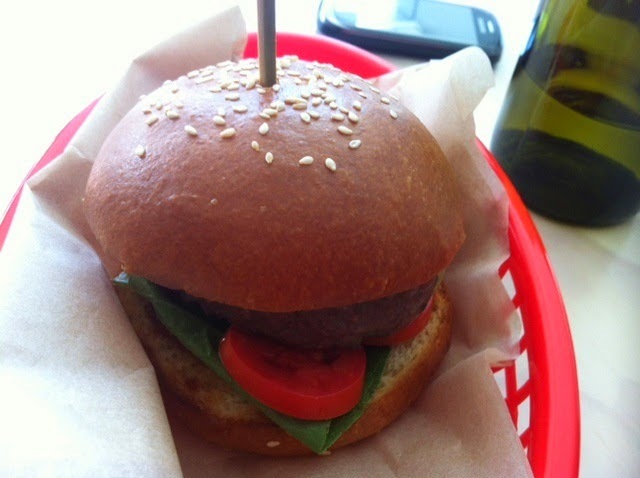 What I liked about the burgers at 1969 was not just their cool names, or their delicious but different flavour combinations, but also that they were not enormous so that you felt that you needed to run a marathon afterwards. This is perfect for a work lunch situation, when you don't want to go back to your desk to face the afternoon with a bloated, groaning stomach. The staff were friendly and efficient, and made me truly think that, as is emblazoned in neon on one wall of the restaurant, "This Is The Place". 1969 does breakfast, lunch and dinner during the week, so there are plenty of options to try them out. It's definitely a repeat venue for me. "Umami" means pleasant, savoury taste, and comes from foods containing glutamate. To embrace the spirit of umami, I have chosen Umami Apple, Parmesan and Walnut Crumble. The umami component is parmesan, which is high in glutamate. You can find more information about umami in pastry here. The recipe for Umami Apple, Parmesan and Walnut Crumble comes from the Local Kitchen blog. You can find it here. Instead of canned apple pie filling, I chose to make the apple filling here. It is really quite lovely because it is a caramel-flavoured apple filling and is easy to make. This recipe was for an event which won't get any publicity from me as the host chose to ignore my entry; this post has been updated to erase any reference to that event. A couple of weeks back, I became the proud owner of a waffle pan. I had wanted one ever since watching Jamie Oliver make waffles on one of his Christmas shows. The turnoff was that waffle irons and pans are hideously expensive here for a one use utensil, so I just put it off. However, my waffle pan dream came true when I walked into a kitchen shop in Elizabeth Street, and there was a mini waffle pan for $30, complete with a recipe. Perfect! Making waffles is definitely a weekend activity, so the waffle pan took up real estate, unused, in my pantry until today. This morning, I hankered after waffles for breakfast, so I bit the bullet and made them. They were quite simple, once I'd oiled the pan - despite the non- stick surface, without oil, batch one stuck hopelessly. I got 9 mini waffles from the recipe below, counting the ones that stuck. For breakfast, I topped 2 waffles with cream cheese, smoked salmon, lemon juice, capers and dill. They were delish! As "dessert", I topped another waffle with honey. Mix all the ingredients together in a bowl until smooth. Oil and preheat the waffle pan over medium heat. Pour roughly a quarter of a cup of batter into each well of the pan. Cook for around a minute per side, turning over with tongs and pressing down with a spatula to cook the other side. Once the waffles are golden, flip out of the pan onto a plate. Serve warm with a topping of your choice, or save until later in the freezer and toast them. Vegemite is a divisive spread - you generally either love it or hate it. As a kid, I was in the hate camp, but as an adult, while I don't love it, I appreciate its saltiness on toast every now and again. It was meant to be A Taste of Harmony day at work yesterday, but it was cancelled due to lack of interest. I went ahead and made my contribution anyway - cheese and vegemite scrolls. I already had the ingredients and I was in the mindset to do it, so I went ahead. For the uninitiated, bakeries here sell bread roll scrolls filled with cheese and vegemite as vegemite scrolls. It is not difficult to replicate at home. I chose this recipe for my scrolls because it had a bread foundation, like the ones in the bakeries. Many recipes online use a scone base instead, which doesn't really appeal to me. I thought these were OK; I am not a huge vegemite fan, so that is as good as it gets for me. However, I was told by someone who likes vegemite that these scrolls were good, but he wanted more vegemite! There you go - if you want an Aussie food experience, make yourself some cheese and vegemite scrolls this weekend. However, if you are not used to vegemite, definitely don't add extra. This week's French Friday with Dorie is a little fishy - it is Scallop and Onion Tartes Fines. Basically, this dish comprises discs of puff pastry baked flat, then topped with caramelised onion, bacon and sliced scallops. The full recipe is available online here. I liked the caramelised onion with bacon, but I thought that the scallops on top were just weird. The flavours didn't seem to go that well, and the scallop was somewhat overwhelmed by the onion. I would prefer these with no scallops and more bacon. To see what the other Doristas thought of this week's recipe, visit the LYL section of the FFWD website. I am nuts for custard. Even as a child, I adored custard. I know that some people go cold at the thought of custard, considering it slimy, and disliking the mouth feel of it. On the other hand, I can't get enough of its sweet, smooth silkiness, and I especially love it served warm with just enough cooling time for a skin to form on top. The skin is mine! My mother often made custard from custard powder to serve with apple crumble, lemon delicious and Christmas pudding. Greedy little me adored it - and still does, except that now I have to make it so it doesn't happen often. Accordingly, when I read about the Crema Catalana Cake on Nadel & Gabel, with cake on the top and custard on the bottom, I was sold. It sounded like a self-saucing pudding with custard for the sauce. Delish! 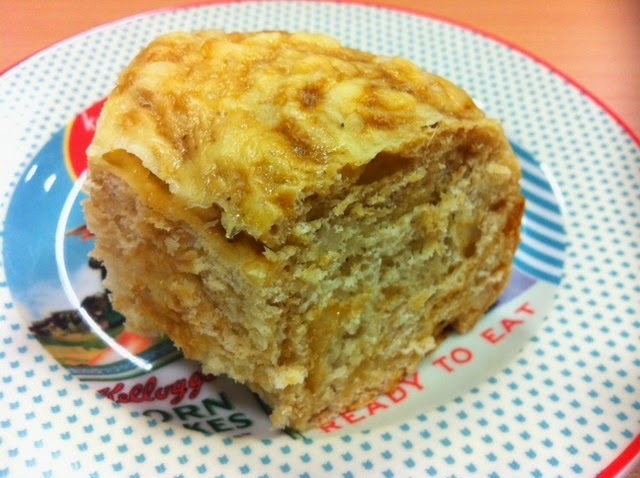 You can see the layers of cake and custard distinctly in the photo at the top of this post. 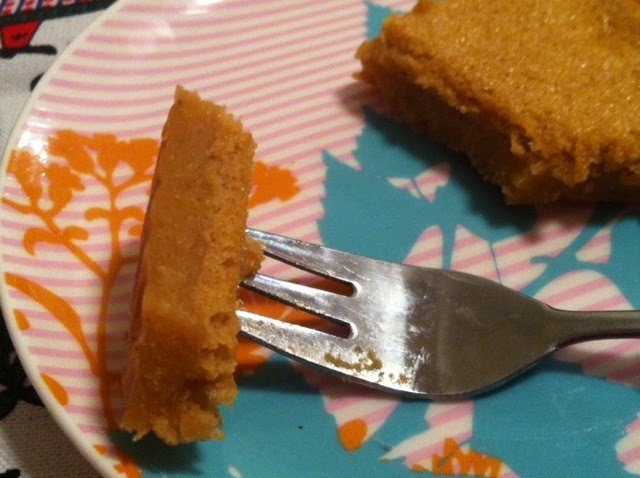 The recipe uses brown sugar, giving the cake an overall caramel-like taste. I have never melted brown sugar before, and at first thought it would never melt, then was amazed as it turned into caramel (unlike white sugar, which just melts). Don't panic when the caramel hardens as you add the orange juice and milk. I did, thinking it spelled the end of my new copper pot, but just keep stirring and heating the mixture, and eventually, the hard caramel melts into the liquid. I used ordinary milk, not almond milk, and it turned out fine. I also did not caramelise the top of the cake with a kitchen torch, as I don't have one, but the cake was just fine without it, it just didn't have a crunchy top. I would definitely make this again, but I would use a smaller pan next time than the 20cm pan recommended in the recipe to boost my custard to cake ratio. This week, my pick for Wednesday with Donna Hay was Stir-Fried Noodles with Crispy Chicken. 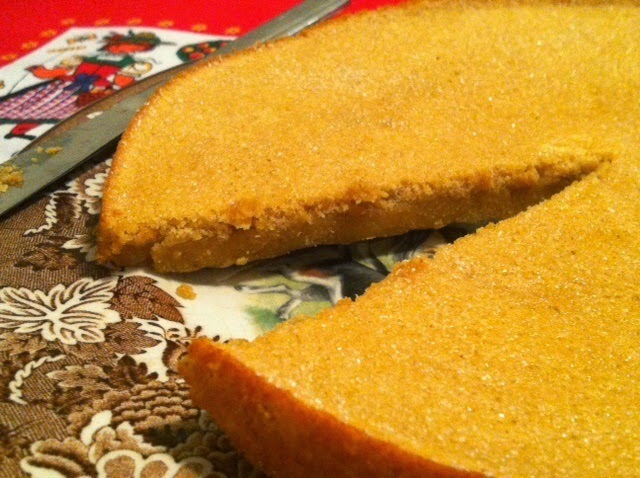 The recipe is from Off the Shelf, but has also been posted online here. I couldn't find wheat noodles (as the recipe calls for), so I used rice noodles instead. I don't think I coated my chicken thickly enough, as it certainly didn't develop a crispy outside. In fact, I liked the latter batches of chicken that I coated and stir-fried better than the shallow fried version called for by the recipe. The Chinese five spice still gives it a nice flavour. This dish was nice enough, but not much different from what I would normally make for my usual stir fry but with less vegetables. It is probably not a repeat. To see what Margaret and Sarah thought of this dish, visit their websites. A little while ago, during the trip that Tim and I took to Woodend, we took the chance to take a breezy drive through the sunny countryside - basically there and back to see how far it is. We drove off to Maldon, our farthest destination, and had a look around the quaint, heritage-preserved town, before heading off to Castlemaine to look at XXXX Antiques for the garagenalia - we don't collect it, but my brother does. By that stage, we were pretty hungry, as it was early afternoon, so we stopped off at Kyneton, another lovely country town not far from Woodend. After wandering up and down the main street, we came back to where we parked the car, near Duck Duck Goose & Larder. Situated in an imposing red brick building that stands out from the crowd, Duck Duck Goose & Larder features a cafe at the front and a gourmet supermarket at the back. The fitout is rustic country, with lots of honey coloured wood, wildflowers, vases and country paraphernalia. It came with a Greek style salad and a tomato relish. Tim rated it as pretty good. The vegetables encased in a flaky puff pastry tasted so good that I would like to reproduce this at home some time. The tart was also served with a Greek style salad and tomato relish. The relish was delicious - it added just the right amount of sweet 'n' sour to the dish. The service was pretty nonchalant, but we were hungry so we didn't care. It reminded me of Thomas Dux in style and content, and it was fun to discover foodstuffs that you don't see in your local Woollies or Coles. If you happen to be passing through or staying in Kyneton, I'd recommend Duck Duck Goose & Larder for some pretty good tucker at a decent price. Raspberries are reaching the end of the season here, as summer fades slowly into autumn. The mornings are cooler and darker, and evening approaches more quickly. In The Age on 1 March, I found this recipe for Raspberry and Yoghurt Loaf by Frank Camorra of Movida fame. The great thing about this recipe is that it uses frozen raspberries, so you don't need to wait until the summer returns to enjoy this cake. I have made various raspberry cakes before, including a raspberry and yoghurt version. However, this one differed from those because it has almond meal in the ingredients. This raspberry and yoghurt loaf is more robust than the other one, and I prefer it. As the ingredients are very similar, I can only imagine that it is the almond meal which gives it its robustness. Wouldn't you like a slice? The New York Times recently featured a recipe for orange-currant scones which sounded exceptionally good, and I duly printed out the recipe for future reference. Cue a shopping day with my friend E, who likes scones, and I thought that I would make them for her. As you know, scones should be eaten on the day they are made, so I made them on the morning that I was going to meet E. I only had a short time in which to make them, leading inevitably to a time pressure disaster. First, I couldn't find any plain flour in the cupboard and thought I'd run out. I was mistaken - I had simply put all of the flour into glass jars to try and eradicate a case of pantry moths, but forgotten about it. Unfortunately, I did not remember in time to make the scones, so I frantically turned to alternatives in my cupboard. I had a bag of coconut flour and thought that I would use this to make the scones instead. Umm, except that I forgot that coconut flour does not contain gluten, which is necessary to make scones. After substituting the plain flour with an equal quantity of coconut flour, I ended up with a crumbly mess. To try and rescue the situation, I added a cup of self raising flour (yep, I had some of that) and an extra quarter cup of milk to the mixture. (Note that I used milk, not cream, in my scones.) Miraculously, it formed dough that stuck together. Instead of currants, I used dried cranberries in my scones. The verdict - my concoction made scones, albeit a little drier than I am used to. They were also more crumbly and did not travel well, so E only got a few scones. However, if you are not travelling with the scones, my substitutions are perfectly serviceable, if you want a scone with a coconut flavour and a different texture to the norm. What I loved about these scones was the orange-cranberry flavour combination. Whether you make them in the way you are supposed to, or make some experimental substitutions like me, these scones have a delicious flavour from the fruit, and are definitely worth a burl. This week's French Friday with Dorie recipe is Sausage-Stuffed Cornish Hens. Even these little babies were hard to track down. Woollies, unsurprisingly, did not stock them. More surprisingly, the guy at the specialist poultry shop looked at me very blankly when I asked him if he stocked spatchcock - now that is worrying. Finally, I went to Thomas Dux after getting off the train a stop early on the way home, and hallelujah - they stocked spatchcock. They were not cheap, but that's OK - the two of them only cost a little more than a decent sized chicken. For the sausage stuffing, I bought Italian flavoured sausages, whatever that means. What I did work out is that they contain a lot of basil - which was not what I was expecting, but it worked OK. I served my sausage-stuffed birds with sweet potato and stir-fried veges (half a bird = one serve). Verdict - delish. The only drawback was the itty bitty bones in the teeny weeny bird that you have to eat around and be careful not to swallow. Recently, I found a new blogging event called Bloggers Around the World, hosted by Chris of Cooking Around the World. This month's challenge is to make a dish from Great Britain. I have decided to join the fun with Somerset Easter Biscuits, originating from - you guessed it, the county of Somerset in England. I know, it's not Easter yet, but how could you resist buttery tea biscuits that smell of heavenly spices at any time of the year? 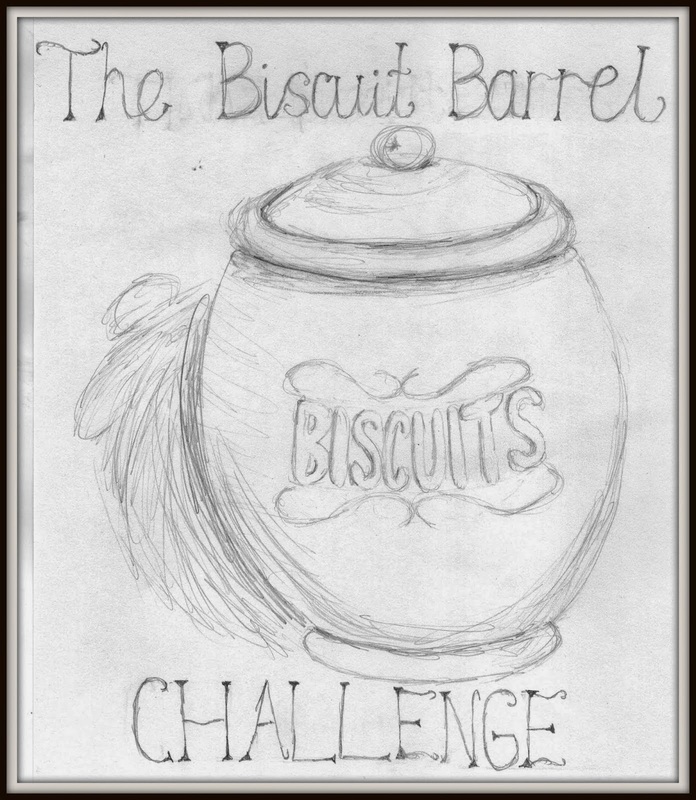 I also found The Biscuit Barrel Challenge, so I am sending these off to Laura of I'd Much Rather Bake Than ... for the Spring-themed challenge. After all, Easter is in Spring in the Northern Hemisphere (though not here). Line a baking sheet with baking paper and preheat your oven to 200 degrees Celsius. In the bowl of a stand mixer, beat the softened butter until light and creamy. While still running the mixer, slowly add sugar and beat the mixture until well combined. Add the egg yolk (reserve the white) and beat until well combined. In a medium bowl, sift together the flour, salt, baking powder and spices. Add this mixture to the butter mixture and combine on low speed (don't overmix). Turn off the mixer and fold in the mixed peel and raisins with a spatula. If the dough doesn't come together, add a little ice water (add slowly and in small amounts - you don't want to make the dough soggy.) Turn dough out onto a lightly floured surface and roll the dough out until around 5mm thick. (I rolled it between two pieces of baking paper instead.) Using a 2.5 inch fluted cookie cutter, cut out rounds of dough and place them on the lined baking sheet slightly apart (they don't spread much). Bake the biscuits for 10 minutes until lightly golden and firm. Meanwhile whisk the egg white until slightly frothy. Remove cookies from oven and lightly brush the biscuits with egg white and sprinkle the tops with sugar. Return the biscuits to the oven and bake the biscuits for a further 5 minutes or so until tops are golden and crunchy. Allow the biscuits to cool on the baking sheet for a few minutes before transferring them to a wire rack to cool completely. A couple of weekends ago, during the trip that Tim and I took to Woodend, we dined at The Village Larder in down town Woodend. The Village Larder is the kind of place that I adore on sight, from its gorgeous logo featuring a little girl peering in the shop window, through to the retro kitchen-style outfitting and the jams, preserves and other foodstuffs on sale. We didn't have a booking and just dropped in from the street for dinner, although I understand from my research that The Village Larder can get very busy, especially at breakfast and lunch. The staff at The Village Larder were super friendly and attentive. Mains are around the $25-30 mark, so it is towards the occasion dining end of the scale. All of the food was delicious, although Tim's warning on the dumplings is that they are super hot, so watch out for your tongue when they are first served. If we return to Woodend, The Village Larder will definitely be on our itinerary.